South Africa is expecting around 12,000 visitors at Indaba 2010, which takes place at the Albert Luthuli Convention Centre (Durban ICC) this weekend. The travel trade show, which runs from 8-11 May, will feature nearly 2,000 exhibitors including Durban's stand, a scaled down version of the iconic Moses Mabhida stadium. Highlights of this year's show will include the launch of Durban's new tourism trail in the Inanda region, where Mahatma Gandhi lived and developed his ideas of passive resistance. "We want to make sure that Durban gets the maximum share of the visitors headed to South Africa for the upcoming World Cup," said acting Durban Tourism head Philip Sithole. 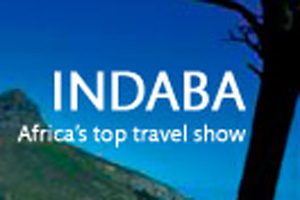 "We are in a bid process with the province to host Indaba for the next three years," he added. "We have hosted this event very successfully for two decades and we really believe that Durban should be made the permanent home for Indaba."